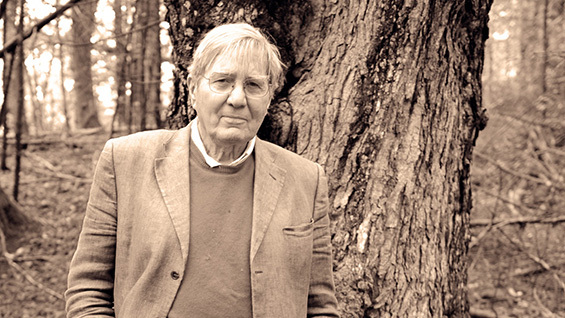 A free, public tribute to the life and work of American poet Galway Kinnell (1927-2014) will feature a variety of poets and writers reciting his works, including Toi Derricote, Jonathan Safran Foer, Robert Haas, Edward Hirsch, Marie Howe, Major Jackson, Yusef Komunyakaa, Mirah Kozodoy, Sharon Olds, Myra Shapiro, Gerald Stern and C.K. Williams. The author of ten books of poetry, a novel and other works, Kinnell was “known for poetry that connects the experiences of daily life to much larger poetic, spiritual, and cultural forces,” according to The Poetry Foundation. He was a recipient of the Pulitzer Prize for Poetry, the National Book Award for Poetry (both for his Selected Poems, 1982) and the Frost Medal by the Poetry Society of America (2002). He served as a Chancellor of the Academy of American Poets from 2001 to 2007. Kinnell was also a poet-in-residence at numerous colleges and universities and taught for many years at New York University, where he was Erich Maria Remarque Professor of Creative Writing. The celebration is co-sponsored by The Cooper Union, the Academy of American Poets, the Cave Canem Foundation, the NYU Creative Writing Program, the Poetry Society of America, Poets House, and the Unterberg Poetry Center of the 92nd Street Y.